Vernon Kay presents this ever popular ITV production. It is recorded as live from The London Studios on the south bank of the Thames. Set designer Richard Plumb has incorporated both LED and projection into the set. 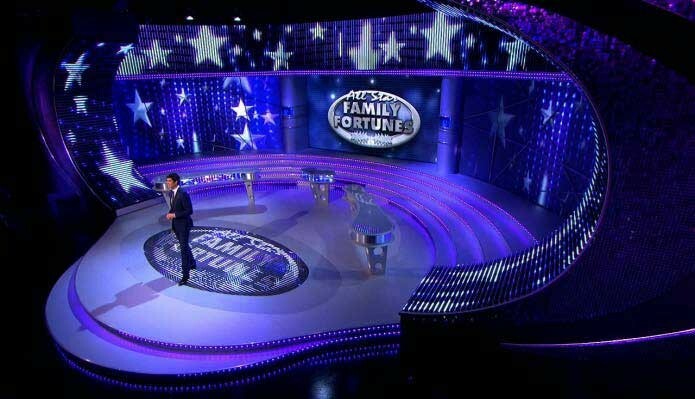 Our versatile Toshiba 6mm screen is at the centre of the set and works as doors for the contestants entrance. The podiums for the contestants contain Barco Olite 510 tiles, and the sides / header and the floor contain Barco MiStrip. 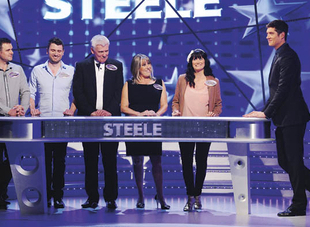 Edge blended Christie 16K projectors create the contestants backing screens. The show is rigged in a day and takes 6 of our well trained in house technicians to complete. Lighting direction is from Dave Davey.